At present, there are 45 children and youth, ages two to twenty-five, residing at the orphanage. They are provided three meals a day and are cared for by supervisors. 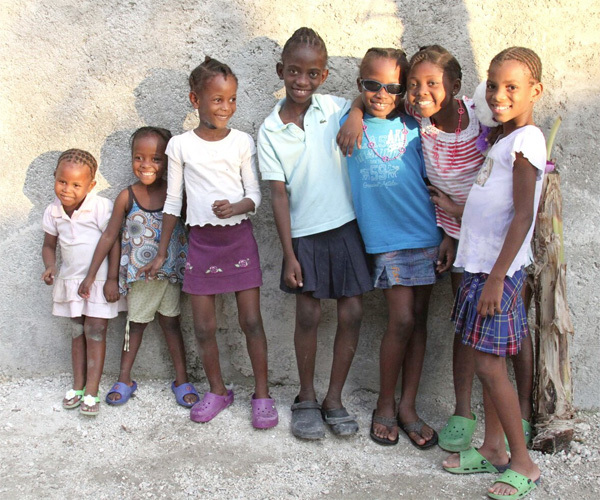 They sleep in clean beds and are provided clothing and shoes, as well as school uniforms. The children go to school, either at the orphanage’s elementary school or outside at private schools. The children are free to choose to attend religious services of their liking. The majority of the children are Roman Catholic but a smaller group of them are Seventh Day Adventists. Upon reaching the age of 18, the children are not turned out if they are unable to return to their families or provide for themselves. Manmie, as the orphanage’s director is affectionately known, continues to provide support until they are able to sustain themselves economically. Some of the externs are now attending university or vocational school and continue to be funded in part by the Foundation.